You heard the title right!!! A phone with 7000 mAh battery!!! The world of Android phones never fails to surprise us from time to time with some breakthrough technology or feature. We are here to discuss something similar to that today. 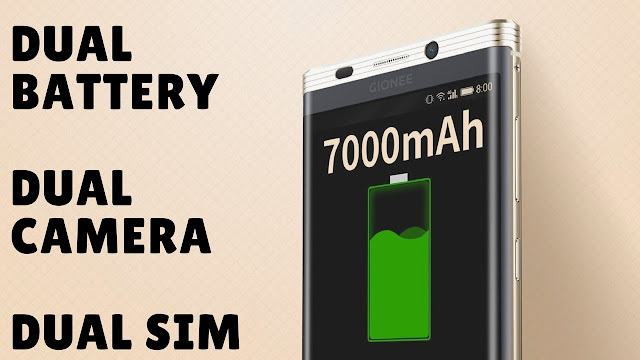 We are here to discuss and review about the Android phone that comes with 7000 mAh battery inbuilt, the Gionee M2017. That like a power bank built right into your phone!! Now, how the hell did they do this and still keep the design factor intact? Lets see everything about this Gionee M2017 below. Gionee M2017 is definitely a good looking phone, no doubt about it. But the phone lacks the original touch in design. Many people think that it looks so much like Samsung Galaxy S7 edge from the front but the back looks like the design of an old Virtu phone. But hey, It looks stunning. Gionee might have copied a few aspects of design from Samsung and Virtue but the combination of those two together looks absolutely stunning. The Gionee M2017 measures 155.2 X 77.6 X 10.78mm and weighs 238 grams. The smartphone features a fingerprint scanner at front for advanced security and comes with a textured back for premium feel. Interestingly, the phone doesn't come with a 3.5mm headphone jack, but only sports a USB Type-C port. Gionee M2017 is available in a Black and Gold colour variant. Now here is where Gionee has broken barriers in the world of smartphones. They went on to build a 7000 mAh battery in a phone and still keep the design and size pretty much comfortable and beautiful. But surprisingly its not a single 7000 mAh battery, but two 3500 mAh battery that are connected in parallel so as to prevent the phone from getting heated up and also prevent accidents while charging and using the phone. Clever eh! Gionee M2017 with 7000 mAh battery comes with support for Quick Charge 3.0. The company claims that the M2017 smartphone gives a video playback time of up to 25.89 hours and a standby time of 915.42 hours. The dual-SIM Gionee M2017 sports a 5.7-inch QHD (1440x2560 pixels) AMOLED display with curved edges, sapphire glass, and an impressive pixel density of 518ppi. The M2017 smartphone is powered by an octa-core Qualcomm Snapdragon 653 (four Cortex-A72 cores clocked at 1.95GHz and four Cortex-A53 cores clocked at 1.44GHz) SoC coupled with 6GB of RAM. Gionee M2017 runs Amigo 3.5 UI based on Android 6.0 Marshmallow. Connectivity options include Wi-Fi, GPS, Bluetooth, USB OTG, 3G and 4G. Sensors on the phone include Proximity sensor, Accelerometer and Ambient light sensor. In terms of optics, Gionee M2017 comes with a dual-camera setup that has 12-megapixel + 13-megapixel at the rear end, with support for 2X optical zoom and 8X digital zoom, and an 8-megapixel camera at front for taking selfies. The Gionee M2017 is available with inbuilt storage of 128GB but there is no microSD card support for expandable storage. The Gionee M2017 premium smartphone has been launched in China at a hefty base price of CNY 6,999 (roughly Rs. 68,400). As of now, there is no word whether the new Gionee M2017 will be released in other regions or stay exclusive to China. 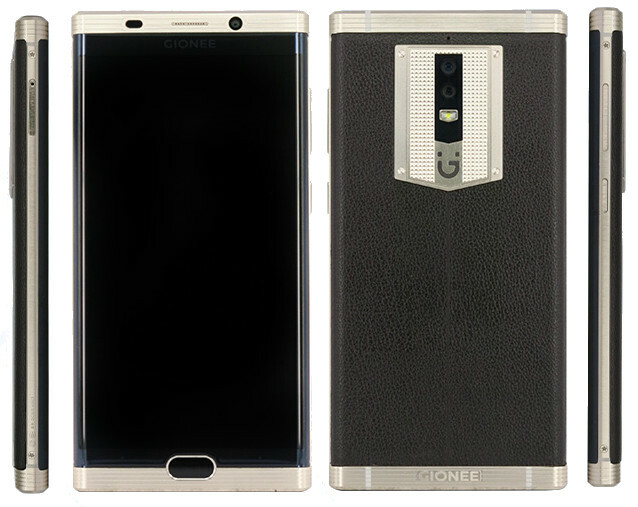 Another Gionee M2017 version with Italian custom alligator leather back panel has also been released at CNY 16,999 (roughly Rs. 1,66,000). The Gionee M2017 smartphone is up for pre-orders in China, but Gionee's website is already showing the phone as "Fully Booked".